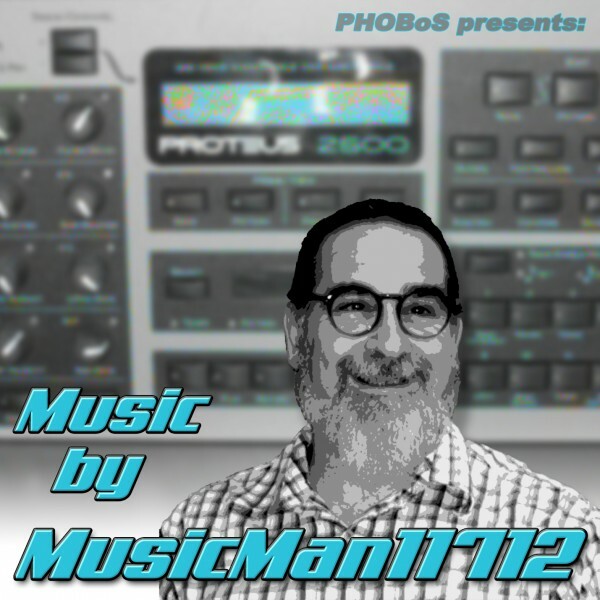 PHOBoS presents: Music by MusicMan11712 was streamed Sunday September 18, 2016 @ 19:00 GMT on electro-music.com radio. I look about 3-4 years younger there (even with the graphic effects) but the Proteus 2500 looks the same!!! (BTW, I love the "album art." Looking forward to hearing which pieces/excerpts you have selected!!! I started listening and liked it but fell asleep after another hard weekend. Will have a listen again when I can. I was late tuning in, so I only heard the last hour or, which was great. Downloaded the track and I have it in my car now . Thanks pho for doing this, and thanks Steve for making this! And heard the first hours of it too now - very nice!